That’s the most common answer people give me when I ask them how they got into audio. It’s certainly not a bad way to get started in the business, but what about when you want to make a change? What if you want to break out of your current cycles and create a career on purpose? What then? You’ll need professional networking skills because pro audio is based on personal referral, and if you want to transition within the industry you will need new referrals. At first, this can seem like an impossible obstacle, because relationships take years to build. Right? Not necessarily. Prepare to go outside of your comfort zone. Sometimes the question has a simple answer, like other sound engineers in the new niche that you are moving towards. But sometimes it takes more research to figure out exactly who can refer you to the jobs you want. The number one person to ask: someone who already has the job you want. 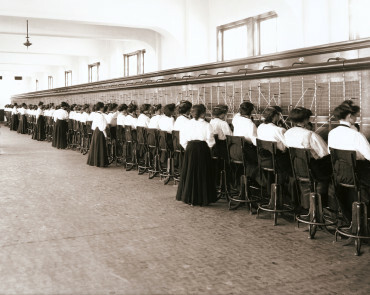 Schedule a quick Skype date and ask who referred them to the jobs that they have now. Then start developing a relationship with that person. #2 – Where do they hang out? Once you are clear about who you want to meet, do some research and find out where they spend time. One quick way to do this is to look them up on LinkedIn, Facebook, or other social networks. Notice what groups they are in and what events they attend, then join those groups and start participating. People in your goal niche will get to know you, and you can start asking questions related to finding new clients or employment. I broke into theatrical sound design in San Francisco using three steps. I identified a designer I wanted to talk to, I attended an event I knew he would be at and connected with him there, and then I asked him for a referral while I was chatting him up. We hit it off, and he was happy to help. Check Meetup.com, Eventbrite, and local industry events for more IRL meeting ideas. Although some sound engineers don’t like to be approached at work, you can also go to the kinds of events that you want to work on and talk with the people working them. Just make sure to do it during their break, and don’t take it personally if they don’t want to talk right that minute! You can skip all of the internet stalking industry events and just contact them directly. It is easy to contact them if they have their own website or are on Twitter. If you’re stumped, try this. Check to see if you have a mutual connection who can introduce you. On every LinkedIn profile there is a little triangle next to the Connect button; any time you have a connection in common with that profile, you will see an option to “Get Introduced”. Make sure to message that common connection first and ask for their help with the introduction. Keep in mind that they might not remember how they know that person! I have over 500 connections and there are plenty whose origin I have forgotten. What if you could be automatically paired with potential referral sources who were down to chat? Treatings is an app with a goal of helping you create new professional relationships. I really want this app to take off because it would make this whole process sooo much easier, but I haven’t had a lot of success with it yet. Just like dating apps, there are a lot of people who don’t reply. It only takes a minute to set up, though, and with such a low barrier to entry I recommend that you give it a shot. If you want to start getting introduced to new people, follow the golden rule and start doing the same for others. It’s been a while since we’ve connected. I hope all is well. This is where I met Nathan. He’s super talented. Here’s some of the super stuff he does. Anyway, I respect your work so much that I thought you two should meet. The audio world is too small for two of the good guys to not even to be aware of each other. No need to include me in any future conversations that y’all have, but forge ahead! What can you do to create more weak ties? Ask your friends to each tell two of their friends that you’re on the job hunt. Make your request easy to remember and transmit. Craft a clear email that can be easily forwarded. This can be a tough pill to swallow if you have years of experience in one niche already. Both Darryn de la Soul and Michelle Sabolchick Pettinato told me that if they were transitioning within the industry, they would do whatever it took to make new in-person contacts, especially in the context of a work relationship where more people would become familiar with their abilities. Volunteer work is an easy way to create those relationships. You can join a labor provider like SoulSound Agency in the UK or VTS in the US. They have contracts and contacts across the industry and will get you started in the areas of your choice. In exchange, they’ll take a percentage of the labor paid. There are career and business coaches for every industry in the world. See if there’s one for your niche. Even if you don’t want to hire them right now, they are likely to have some free material to help you get started. You don’t try. Maybe you have a lot of fear or confusion around getting started. Everyone does. Create a simple, personal strategy and schedule time to work on it every day. Every day?? If it’s important to you, then yes. Every day. You do it wrong. Don’t break out of the gate with “How do I get a job?” You sound like a cold and informal college student. 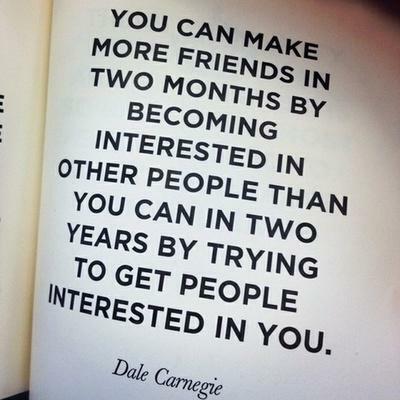 Show genuine interest in the other person first and they will be more interested in you. for you anymore Annice Glaspie it’s a waste of time simply annoys the rock of gibraltar.